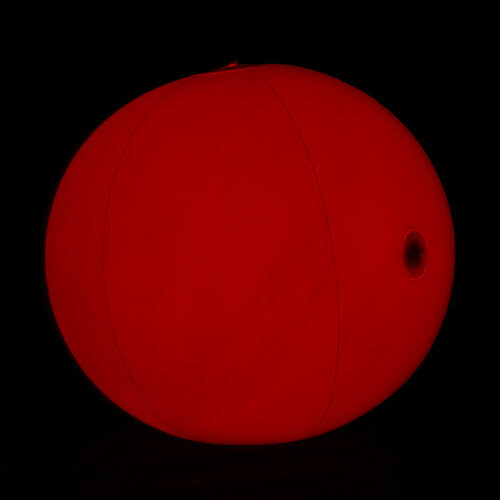 For an evening at the pool, in your backyard, at the beach or in a crowd,The red light up beach ball is the festive accessory you need. Perfect for festive evenings, Canada Day, weddings, partys of your choice or just for fun with family and friends. Made of white vynil, it measures 20 inches and you need to inflate it. To activate the red LED lights, you must press the three switches to get the maximum brightness. Each section is equipped with 3 replaceable AG13 batteries. This light up product is not recommended for children under 5 years old.